So how did it all begin where did it all start? I was born on a council estate built for miners, unimaginatively called The Miners Estate, I was an only child with a doting mother and a brutal and often absent father. I always knew when he was back, as he would cook foul smelling offal at 7am in the morning while sipping vodka. To this day the smell reminds me of those unhappy times when my mother and I were subjected to his bullying. I think this made me withdraw into my own world via a portal to a world of literature, art, surrealism, and fantasy. My escape hatch… where I observed life from an isolated view. I started writing down my thoughts at a very young age. I presume you continued to do this throughout your teen age years? Yes I was drawn to the troubled souls Kafka, Lou Reed and at the age of 13 when I started to form my own bands. I generally wrote the lyrics and top lines and would surround myself with like-minded people. This was difficult sometimes in North Manchester. I was constantly re-working and reorganising musical projects while cutting my teeth in a business that remains difficult to this day. My favourite incarnation around this period was a group called ‘Marine Escape’. Mostly experimenting with synthesisers and other electronic toys. My lyrics and phrasing explored the darker side of life as well as embracing themes such as romance and teen angst. Most week nights I would attend the local rehearsal room still wearing my school uniform. At the risk of sounding boastful, around this period I was headhunted by many Manchester artists who would later become icons on the Manchester scene, including The Fall’s Mark E Smith who was most supportive, encouraging me to follow my own individual path, not subscribing to the stereotypical chart fodder which he deemed disposable and short term. That individualism was and still is very important to me. 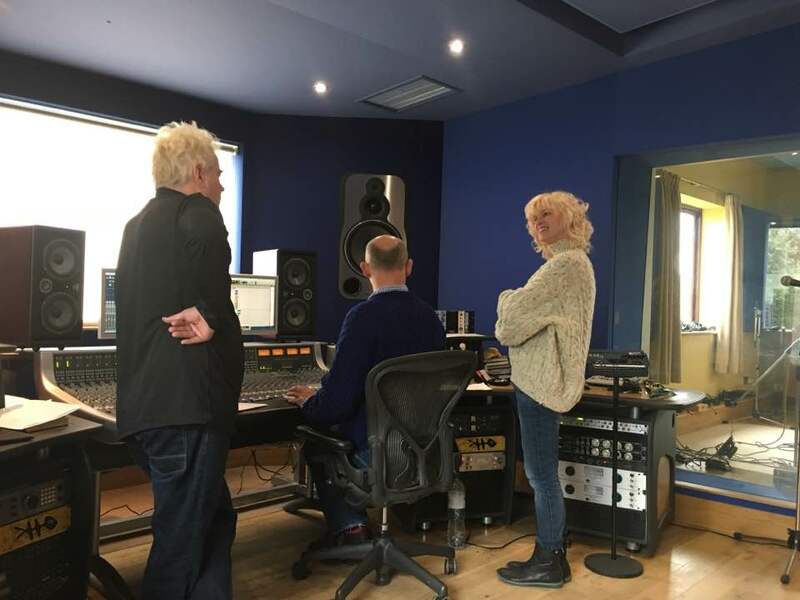 Ironically things have come full circle as I am now working very closely with The Fall producer Mike Bennett – Who is an creative individual to say the least, I am a great believer in fate. Another person to show a great interest in my work was Tony Wilson of Factory Records and ironically Mike Bennett has also had an association with Tony through his work with Diane Charlemagne of Moby, Urban Cookie Collective, 52nd Street, and Goldie fame. You’ve written many plays installations and broadcasts which one stands out ? I wrote the play ‘Nico Icon’, which was a huge success. It sold out in a long season at the prestigious Lowry Theatre, but this caused a lot of controversy amid Nico fans, making me both enthusiastic followers and enemies in equal measure! I am in fact still in touch with the late great Nico’s son Ari, who not only endorses my work but remains a huge fan. There is a rumour going round that Jane Horrock’s has plagiarised one of your critically acclaimed installations? Another play/gig I wrote and extensively toured has allegedly been plagiarised by none other than award-winning actress Jane Horrock’s. I believe she cherry picked the contents of my work and even had the gall to approach some of my cast to appear in her play. I went to see this reworking, notepad in hand, only to witness a watered-down, middle-class version which ironically bombed, thus leaving my original play intact. The regrouping of Intastella was inevitable. With all former band members endorsing it, the back catalogue in its entirety is finally being re-issued. This features productions by the producers of bands such as Tricky, The Smiths, Psychedelic Furs, Blur, producer Stephen Street, and Craig Leon who has worked with the likes of the Ramones, glam goth outfit Doctor and the Medics, The Fall and Blondie, to name a few. The irony is that my producer Mike Bennett has not only worked with The Fall, but is about to embark on a Blondie project. I will not, however, allow him to stray from the Intastella path until post production on my album and the tour is complete to my satisfaction, but luckily he has a similar sort of OCD when it comes to final details. Neither of us are fans of post production activity, but realise it is a necessary evil. You seem to be a talented all-rounder is there anything you are not good at? At the present moment there seems to be a poltergeist in my life, relieving me of items such as chargers, Mobile phones, purses, pen drives, hard drives, spectacles and other personal paraphernalia which is best not mentioned at this time. This does happen spasmodically throughout my life, but more usually when I am on a creative roll. In these periods my sense of direction completely deteriorates. It seems that I am so single-minded that every day normal tasks become complicated to the point where I am beginning to wonder whether I have a mild form of dyspraxia. I am focusing hard on my work but I don’t even know my left from my right. I am however extremely careful to balance my working life with my home life and with my supporting daughter and a good man behind me things always work out in the end. Luckily I am very good at spinning plates. Perhaps I should’ve joined the circus as it is not too dissimilar to this business we call show business. I am a visual artist too and enjoy collaborating with talented film makers and am working very closely with Andrew Obeja (Jelly Universe Productions) and Dominic Montague and love their refreshing attitude to film and editing. Your work is unconventional what is your method of composing and writing? People find my work difficult to categorise. I put this down to the way I compose and utilise wordplay. For instance, instead of picking up a guitar and creating generic chord structures, I became obsessed with the harmonium and other such instruments that made drones. The use of black notes and eastern scales were always a huge inspiration to me and continue to be so to this day. My early Muse for my work was the late great Nico Paffgen of Velvet Underground fame. Incidentally I named my beautiful daughter after this influential icon, who once lived in Prestwich just doors away from where I live today. There is a famous old saying “don’t put your daughter on the stage”. Funnily enough my Mum was my biggest fan coming on tours listening endlessly to music she hated on radio one to make sure we got our allotted number of plays. I was a single parent when I trained to be an actress. She supported me through that and I wish she was around today to see she would love all this. To maintain a career in the arts I think you have to be adaptable. As well as being a singer and performance artist I am an actress and playwright. Proud to say I have worked with some of the most prestigious theatres in the country, including the ‘National Theatre of the North’, Hull Truck, Oxford Playhouse, The Crucible Theatre Sheffield, Manchester’s iconic Royal exchange and Lowery Theatre, as well as working in the West End at the famous Bloomsbury Theatre. The last play I wrote and performed has now become the seed and Muse for my new album and installation, which is to be performed soon as a series in iconic venues in London, Glasgow, and a homecoming concert a legendary Manchester venue. I am bound to a non-disclosure agreement but the show will be featuring Jah Wobble and a host of very special guests. Ironically, trudging around lower rent theatres in the mid Mancunian suburbs, is a fake version of Intastella. On investigating this my management team discovered that this manifestation of Intastella is none other than a drag queen from the gay village just shy of the northern Quarter of Manchester. Draped in Lurid latex this cheeky imposter has even managed to procure a date at London’s prestigious Soho Theatre. No, I am not particularly chuffed about this but you have to admire his cheek. On a more positive note I continue to divide my time between acting and music. My work continues to be wide and varied, appearing in everything from the gritty award winning movie The Violators in which I played a ‘ smack head ‘, to appearing in the iconic family show Coronation Street which was a delight for my mother who was a keen fan of the show . So is your life all about the glamour of show business? Not at all. I rarely do the show biz thing, I don’t attend openings, closings, or rap parties. As I said I’m a single mother and I’m always trying to get the balance of work and family life right. Also I’ve met many a Borstal boy in my time and fraternised with so-called ‘ Wrong-uns ‘. In other words the disenfranchised members of society who are considered low down on the social spectrum. I am a natural philanthropist and continue to use the arts and drama to engage excluded and so-called ‘ disturbed ‘ young adults encouraging them to express themselves in a positive way thus enhancing the lives of not only themselves but others around them. I’ve worked in virtually every prison in Great Britain. Although not all prisons are archaic and badly run, I feel that in general there is scope for reform. Although there are progressive schemes and think tanks I genuinely feel we have a long way to go. It is an extremely biased society we live in. I’ve seen people I’ve worked with flinch at my Northern accent. You have a new album out with Jah Wobble how did that collaboration come about? I began working with Jah Wobble as an actor and Orator firstly on my Installation The Rise and Fall of a Northern Star. We became friends and he played bass on some songs and now he is the main collaborator on the re-imagining of this work named The rise and Fall of a Northern Dubstar. It’s a great pleasure to have the Smiths’ legend Craig Gannon on board once more too, as he was a founder member of Laugh, which was an early incarnation of Intastella. Also founder member of the Smiths, Mike Joyce, who is a multifaceted performer and superb actor, also appears on the album and in the installation as a vocalist and spoken word artist. His sense of heightened reality combined with my naturalism is very appealing, and his knowledge of the music industry has been a great source of inspiration in the making of the new album. The bard of Salford John Cooper Clarke also joins the eclectic consortium. This is ironic, as my first ever gig was supporting him at the Cyprus Tavern in central Manchester, and he played a huge part in the launch of my career. I am delighted to say the bard appears in my forthcoming play on my favourite independent radio station Radio Soho. Mike you look tired has it been a long week? Always, but some underlying energy remains . It’s the travelling. With the Intastella album we have been to America back to Manchester London and ending up at Far Heath studios in Northampton. I can’t count the amount of studios we have used. Is there any particular reason you finish your albums at the noted Far Heath Studios in Northampton? I did the Chisellers with The Fall there, which was an epic very long single and unlike The Falls usual work. I also love the customised analogue SSL desk courtesy of Mike banks and Peter Gabriel. It’s irresistible. Also Angus Wallace (Far Heath Studios) who has done much work with people like the Prodigy. He is not just an engineer but both an engine and an ear, so you get two for the price of one if you see what I mean. The atmosphere at the studio which is situated at a tranquil farm also adds to the cart. How do you feel about your work being remixed? I absolutely love it. You cannot afford to be precious in this business. I like to think that part the process is to have the ability to find people that do the right things for the right artist. If you get another ear around a piece of work you are bound to come across something exciting. You can work closely with the remixer and give them a brief, but once that is done it’s great to let them go with the flow. Remixing is an art in its own right. So is mastering, it’s integral from a sonic perspective. On this album we have been everywhere from Shabby Road to Abbey Road and everything in between, using a plethora of different engineers and sonic wizards. 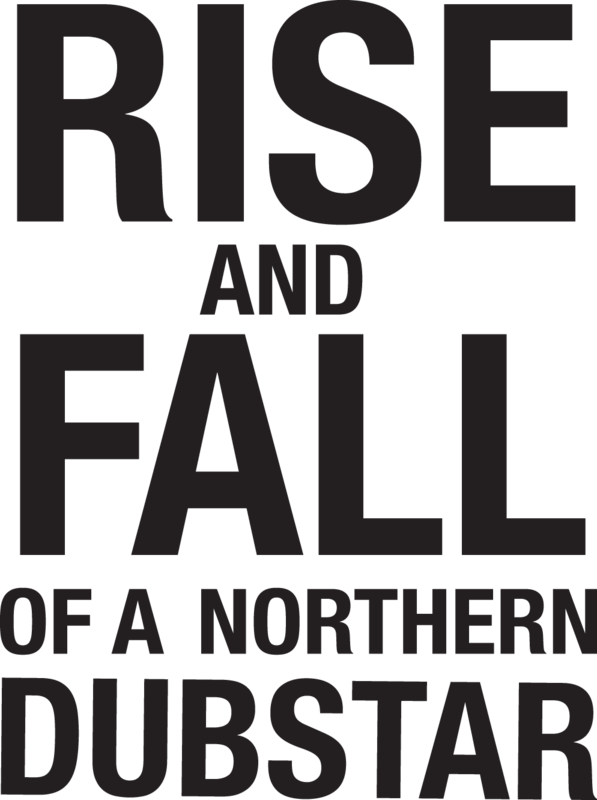 Sometimes I like to be hands-on but it’s always great to get someone else’s interpretation, which is why we have carefully chosen a wide and diverse team to be involved in The Rise and Fall of a Northern Dubstar. I’ve heard the result of the album. How would you categorise the genre? 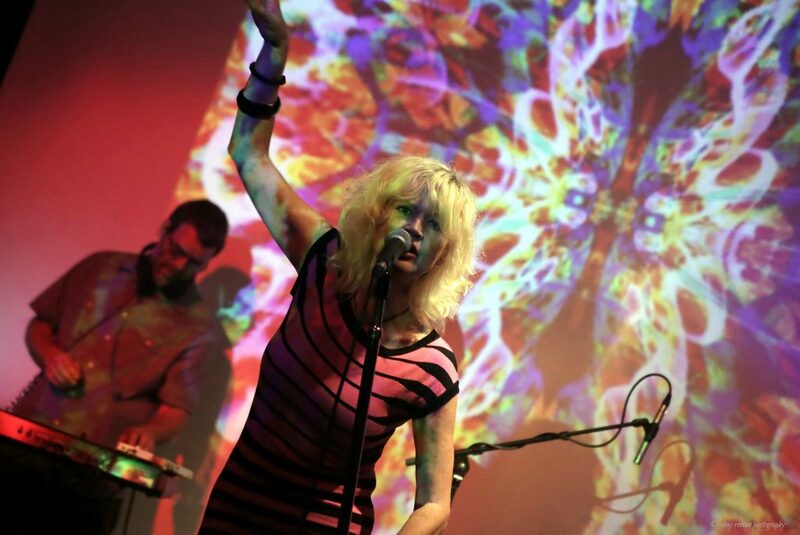 It unashamedly defies categorisation, but utilises elements of dub, glam, electro, pop and even metal. It’s a concept album that is a re-imagination of Stella’s amazing one-woman show. The idea is that as well as being a live installation with the soundscape album, it works as a set of songs in its own right, so it’s multi-faceted if you like. Were you aware of Intastella before you started this project ? Oh yes, I follow every genre of music and liked their three albums very much indeed. The track with Tricky was my particular favourite. I believe bands like Saint Ettienne were inspired by certain post bubblegum and French sensibilities. Always found Intastella a bit more edgy though. I relate to her because she’s a playwright and actress, so performance art and A/V work comes into play. Having worked as an actor and playwright myself I can relate to both her disciplines and need to push the artistic envelope. How did you feel when you saw Intastella hit the official top 5 American dance chart when the promo’s were sent out? I was absolutely delighted and particularly liked the work of Rick Cross who is managed by the excellent promoter Barbara Sobel. I think we had six different mixes in the top 30 at once which by any standard is a good start. His mixes are very unique as they fuse industrial with this crazy cutup style that is used with people like Lady Gaga and Britney Spears. He is very eclectic currently working with Elton John. But the most important thing is that he has captured the Manchester vibe. Mike Joyce from the Smiths also appears on the album how did that come about? That’s down to Stella, but ironically I have co-written with most of the Smiths including Johnny Marr, Andy Rourke, Craig Gannon and original drummer Simon Wolstencroft on the Freak Party project. Mike Joyce appears as a virtual character in the original play which has spilled over onto this re-imagination. He’s a truly brilliant actor has done quite a bit on the BBC. His sense of naturalism or should I say heightened naturalism is very intriguing. It’s so hard because I like some of the dub workouts. But if push comes to shove it’s got to be Lemons which is very dreamy, or the nail bitten rock ‘n’ roll crime which merges Glam and alt rock with the Membranes who add a Gothic element. It’s very intense and hypnotic and I think would work on the dance floor. Stellas lyrics are fantastic and John Robb’s choir and band add an esoteric element, powerful short and punchy just the way I like it. But there are some long almost progressive tracks on the album such as time stood still part two. What made you dip into that genre? That part of the story needed a dreamscape type quality to support the narrative and the fantastic soliloquy Stella delivers towards the end. Craig Gannon provides a Pink Floyd style guitar merged in with a real orchestra that I have morphed through filters. That was trial and error but we got there in the end. Why did you record some of it in Los Angeles? There were some people involved in the post-modernist EDM scene that had sampled a lot from Intastella on their own records. We reached out to them and invited them to provide some beats. I flew over, attended a festival and began work with these guys. The LA scene is not dissimilar to the Manchester scene, and I had met a lot of great musicians from working with Daryl Hannah and some guys from the Foo Fighters whilst on working on another trip. They all have a DIY ethic that is only about three chromosomes away from that of Manchester. Cross fertilisation has always interested me. We have so many musicians from different sub genres on this album, it has been as exciting as it has been ambitious. The fact that it is going on a tour with virtual and real characters is amazing. I can’t wait to see it on the road. 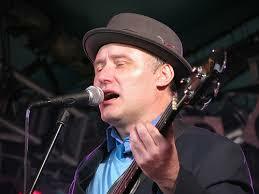 As well as playing bass The featured star on the album Jah Wobble also appears as a spoken word actor. Were you please with the results? Very much so, he is a superb actor and raconteur. A lot of the album was done through file sharing and other such methods, but his contribution is integral. From the soundscape perspective his memorable and instantly recognisable baselines are the cornerstone of this intriguing work. How long does it take to record the album? The name Alan Keary crops up on the album quite a bit. What was his involvement? I met him on a long distance train journey and it transpired that he knew Joti who had worked with Gorillaz and Elbow. I instantly knew he would be great on the album and Joti gave him a great reference as a string arranger and one man string quartet. In his micro studio he recorded all of his strings onto an old Tascam 1 inch machine to get that warmth before flying it back into Logic. We recorded his cellos in his bathroom as it had an amazing echo chamber effect giving a haunting atmosphere to the track ‘Time stood Still part2″. He’s also a bit of a whizz on the keyboards. I love his Fender Rhodes on ‘Lemons’. What’s your general artistic policy when approaching an album?